The opening width to be covered. Include molding if external mounting. 5-inch (127 mm) is automatically added for edge finishing. And 1/2-inch (12.7 mm) is subtracted from overall width to provide for mechanism clearance. The finished shade height. Roller Clutch systems are appropriate for shades with a height of 35 inches (889 mm) or more. Shorter shades can result in very few deep segments that do not look good and may be dangerous to small children. In any case, short shades do not benefit from the roller clutch hardware system. 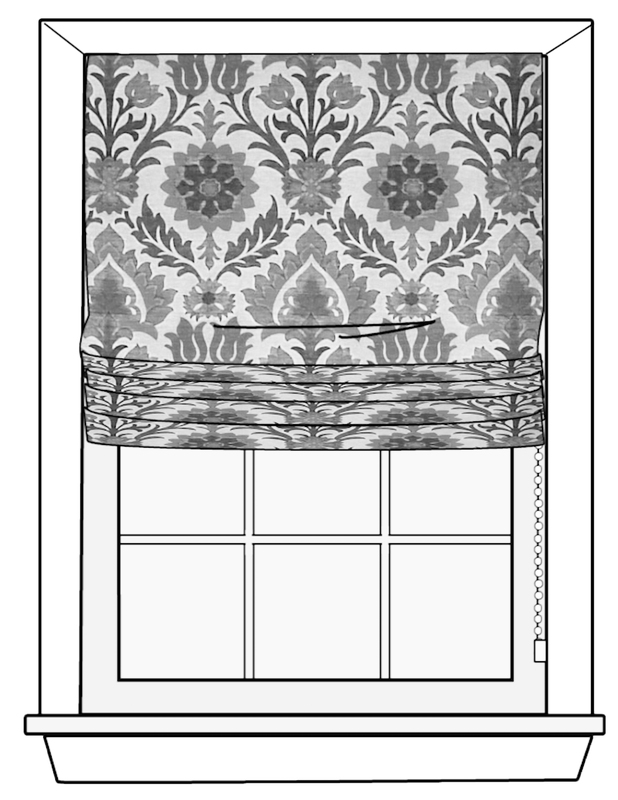 For short shades use the fabric calculator app "Flat Roman Shades". The vertical repeat of a patterned fabric. This measurement is needed to properly align the pattern if multiple curtain panels are required. If the shade does not require more than a single panel width, it is not needed.